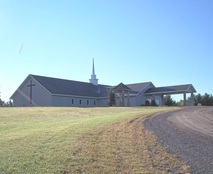 2110 295th Ave Co Rd B Luck, WI 54853 715-648-5387 Sunday Worship 11:00 a.m.
11530 State Road 70 Grantsburg, WI 54840 715-689-2795 Parsonage 715-689-2541 Sunday School 9:30 a.m. 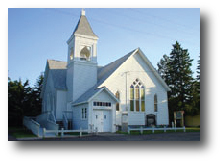 Morning Worship 10:30 a.m. Wed. Bible study 7:30 p.m.
421 S. Russell Street Grantsburg, WI 54840 715-463-5388 Sunday Worship: 9:30 a.m. Sunday School: 10:45 a.m.
716 S. Robert Street Grantsburg, WI 54840 715-463-5621 Sunday Worship: 9:30 a.m. Sunday School: 10:45 a.m. Wed. 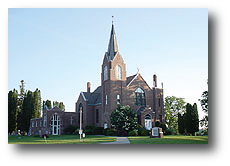 Adult Bible Study: 6:30 p.m.
411 State Road 70 Grantsburg, WI 54840 715-327-8119 Sat. 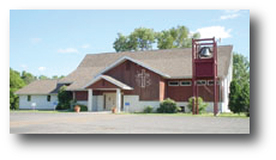 Mass 6:30 p.m. Summer Only Sunday Mass 8:30 a.m.
10394 State Road 70 Siren, WI 54872 715-689-2420 Sunday Worship: 9:00 a.m. Sunday School: 10:30 a.m.
22384 St. Rd. 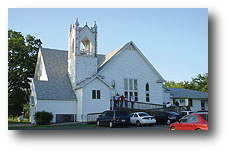 48/87 Grantsburg, WI 54840 715-463-5746 Sunday School 9:30 a.m. Sunday Worship 11:00 a.m.
301 S. Pine Street Grantsburg, WI 54840 715-463-2081 Sunday Worship 9:00 a.m. Sunday School 10:30 a.m.
23661 Range Line Road Siren, WI 54840 715-689-2125 Sunday School 10:00 a.m. Sunday Worship 11:00 a.m.
11525 Luther Point Rd. 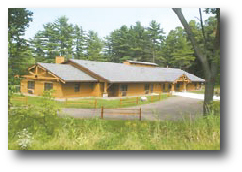 Grantsburg, WI 54840 Phone: 715-689-2347 Director: Mark Peters. 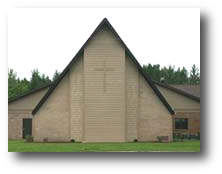 20750 County Road Z Frederic, Wisconsin 54837 Pastor: Merrill Olson 651-329-7848 Sunday School: 9:30 a.m. Sunday Worship: 10:30 a.m.
20296 State Road 87 Grantsburg, WI 54840 : Dale Van Deusen 715-488-2653 Sunday Worship: 9:30 a.m. Sunday School: 10:45 a.m.